With 6 campuses in Toulouse and Tarbes and 17 research laboratories, Toulouse INP offers you the opportunity to study and do research at a dynamic and multidisciplinary university of more than 6600 students. We are constantly developing our links with universities and research organisations all over the world. For the moment, we have an extensive range of European and international cooperation programmes and projects with more than 60 countries. 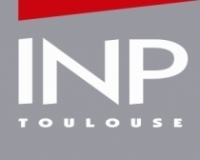 At INP Toulouse, you can take advantage of a unique opportunity to study natural and engineering sciences of the highest standards and, at the same time, discover the diversity of French culture and the French-speaking environment. - international openness through partnerships in European and international networks and programs, enabling exchanges at engineering student, lecturer or researcher levels. It was founded in 1949 in Paris-Orly, and moved to Toulouse in 1968. It merged with the SEFA (Service d’Exploitation de la Formation Aéronautique) on January 1, 2011. The « Ecole Nationale de l’Aviation Civile » (ENAC) is a unique example : it is the only aviation-oriented university in France offering a wide and complete panel of aeronautics-oriented training programmes and activities, serving the aeronautical world, and particularly the air transport sector. Through all these activities, the ENAC university is committed to meeting the requirements of the aeronautical field, in which both private and public actors are involved, either in France or abroad. In more than 60 years, with 20,000 alumni, ENAC has acquired recognition, in France and abroad, of all the partners belonging to the wide range of its activities. 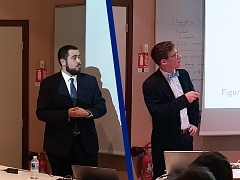 Today, thanks to the acknowledged skills of its teachers, searchers, students, trainees and its whole staff, the ENAC university is looking to strengthen its influence throughout the world, being always committed in its field of excellence : aeronautics.